The locks you choose should be of great quality and need to be strong enough to protect you from any kind of unwanted break-ins. For many years we have been using door locks to keep our belongings and homes safe from intruders. When you have built a beautiful house with a strong and durable front door, it is important to choose a reliable and high-quality door lock. A solid door with a high-security door lock is the most important layer of security for most of the homeowners. One of the most reliable and strong door locks is manufactured by Kwikset. It is the leading residential door lock manufacturer since 1946 and has since produced various kinds of door locks to satisfy the taste of homeowners. This brand has made sure that homeowners feel safe when they install door locks manufactured by Kwikset. They have a wide range of innovative products with numerous styles and finishes. Apart from being stylish and strong, they also come with various security features for the safety of the homeowners. Door locks are as important as the door of your home for giving you complete security and privacy. For more than 60 years, Kwikset has provided security and peace of mind to millions of people through their innovative door locks. They have numerous other features for the benefit of homeowners. There are certain Approvals that are set by the State for all kinds of construction trades. 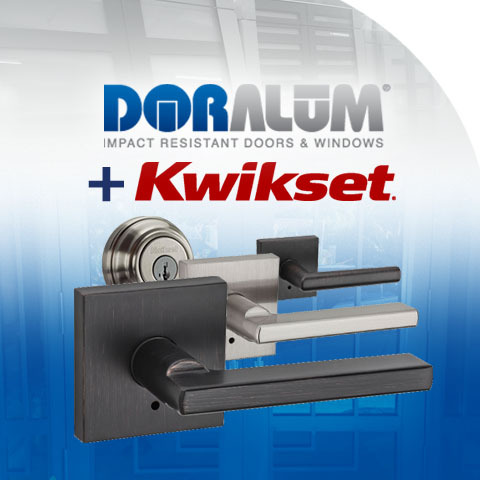 Kwikset door locks are Miami-Dade County approved and are listed in the Florida Product Approval. The security features that you get with Kwikset door locks are unmatched by any other manufacturer, giving you complete peace of mind. All kinds of Kwikset door locks are made using the latest technology, which guarantees the highest security level for your homes. The door locks from Kwikset can be tailored according to the size and shape of the door. They can also be customized if the homeowners have any particular requirement. Now, you don’t have to worry about getting professional to fix the door locks. Kwikset will install the locks upon request of the homeowners. Door locks are vital to the safety and privacy to you and your family. It is also important to change the locks for security reasons. When you have recently moved into your new house, you need to change the door lock to be sure only those people, who have your permission, can enter the home. Another reason to change is when you lose a pair of your home keys as it might fall into wrong hands. Door locks also wear out with time. So, you must change the door lock before your lock completely fails. If you are thinking to tighten the security of your home, it is important to install a high-quality, strong and durable door lock. Installing a branded door lock will give you enhanced security and convenience, keeping the maintenance costs low.